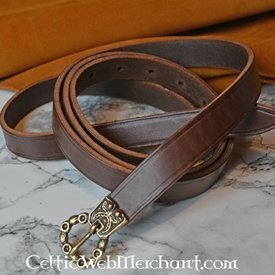 This belt is made after a 15th century original excavated in London. 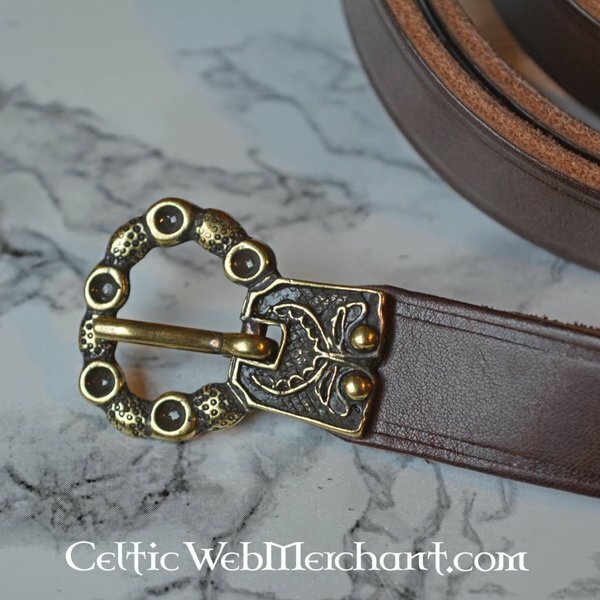 Belts like this were worn from the 2nd half of the 15th until the 1st half of the 16th century. This belt is made of 1,5 to 2 mm thick natural cowhide. 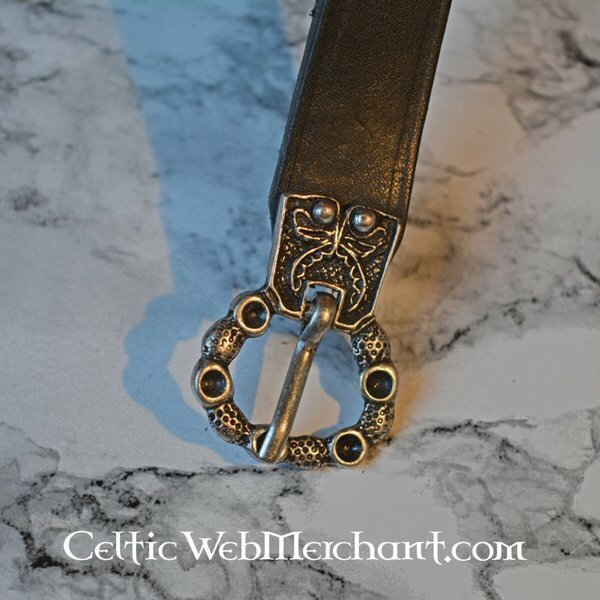 The belt is 2 cm wide and 165 cm long.